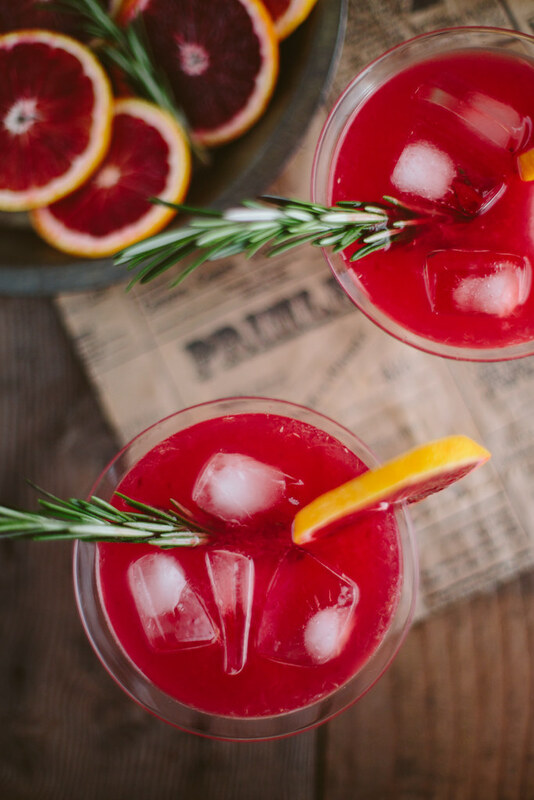 his is a somewhat tortuous post, since I'm currently still on Whole30 and not drinking any alcohol (or consuming sugar either). Looking at these photos I remember just how delicious this drink was! 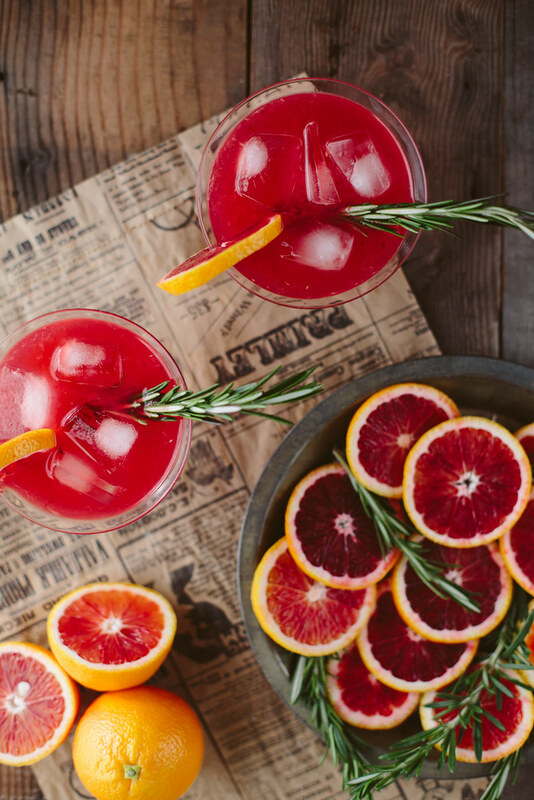 I'd never really had blood oranges, outside of those blood orange san pellegrino drinks (okay, those don't count). I've seen plenty in photos and thought they were stunning fruit, the depth of the red is just so incredible! And when you juice them, that red is maintained, such a rich color! 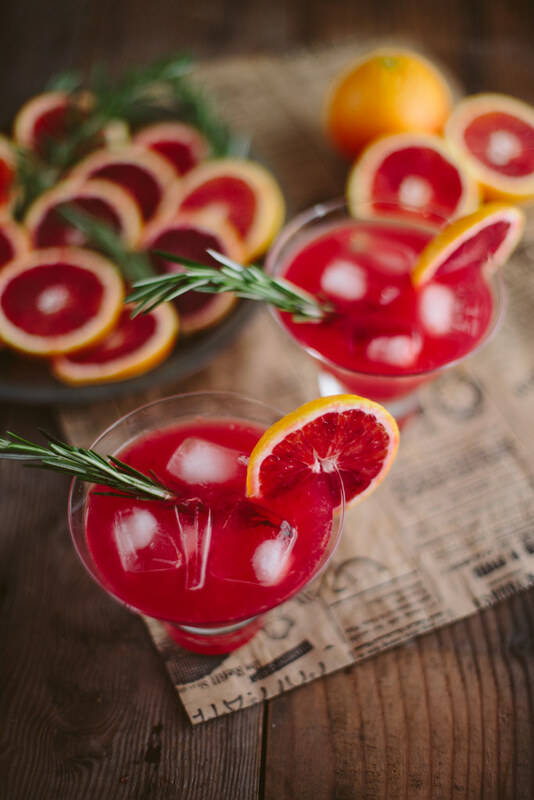 I think this drink would be a perfect cocktail for a Valentine's date or party, it's the perfect color and it's seriously so delectable. One of my favorite little simple cocktails a few years ago was an Orange Blossom, with gin and fresh squeezed orange juice. 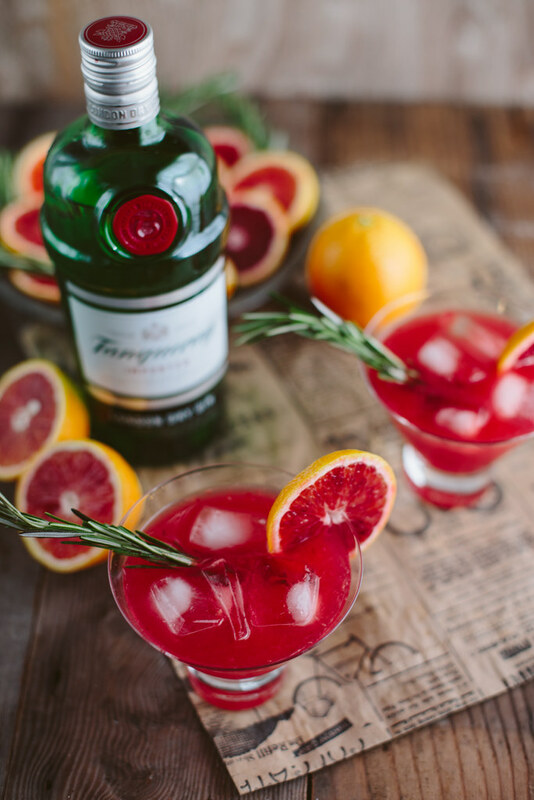 The rosemary and blood orange in this cocktail just take that to the next level. I'll definitely be posting a follow up to my Whole30 experience once I'm done. I've got about a week left of the 30 days and then after that is a week or two of reintroducing foods and seeing how my body reacts. At this point I'm kind of tired of it, and not feeling any different or better, which makes it harder to press on and finish, but I will. I suppose at this point I'm more interested in the reintroduction to see how those foods affect me than in the 30 itself. One bummer: I'm not done with the 30 until after the Superbowl, boo! If ever there was a time to enjoy a beer, that's it, especially with the Seahawks playing! Enough Whole30 pity party though, are any of you doing it? If so, how far into are you and how are you feeling? First make the honey-rosemary simple syrup. 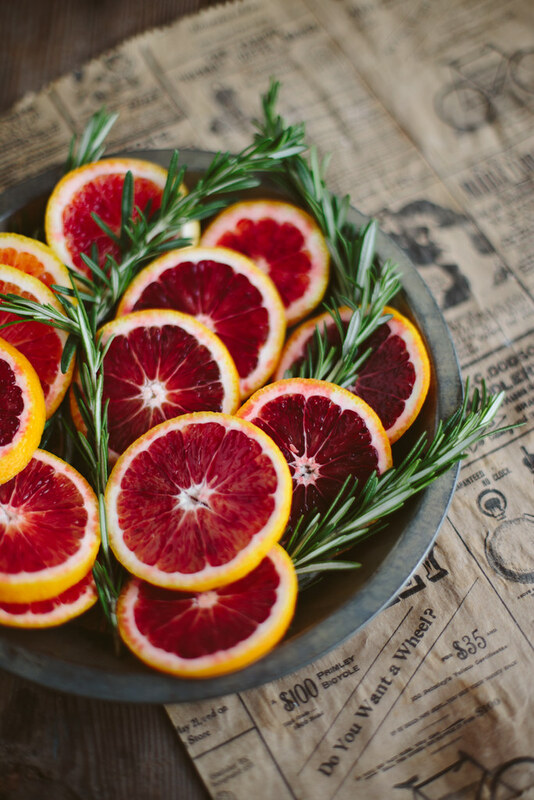 In a medium pot, and add fresh rosemary, water, sugar, and honey and bring to a boil. Once boiling, remove from heat and let it steep for 6 hours. After the syrup is done steeping, remove the rosemary and store the syrup in the refrigerator.